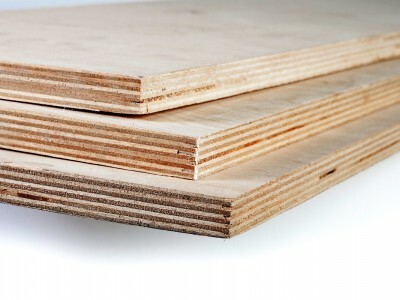 Plywood is a sheet material manufactured from thin layers of wood veneer that are glued together. Diggerent sizes, grades (A, B,…) and wood veneer (pine, birch,…) are available. 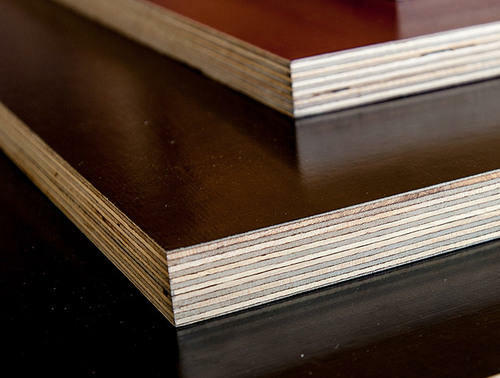 Marine plywood is a sheet material manufactured from thin layers of wood veneer, covered by a black or brown film. It performs longer in both humid and wet conditions and resists delaminating and fungal attack. Usage : construction (concrete casting). 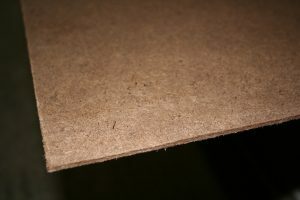 Chipboard – also known as particleboard, low-density fibreboard (LDF), – is an engineered wood product manufactured from wood chips, sawmill shavings, or even sawdust, and a synthetic resin or other suitable binder, which is pressed and extruded. Particle board is cheaper, denser and more uniform than conventional wood and plywood and is substituted for them when cost is more important than strength and appearance. However, particleboard can be made more attractive by painting or the use of wood veneers onto surfaces that will be visible. 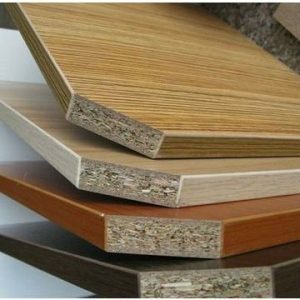 Hardboard, also called high-density fibreboard (HDF), is a type of fibreboard, which is an engineered wood product. 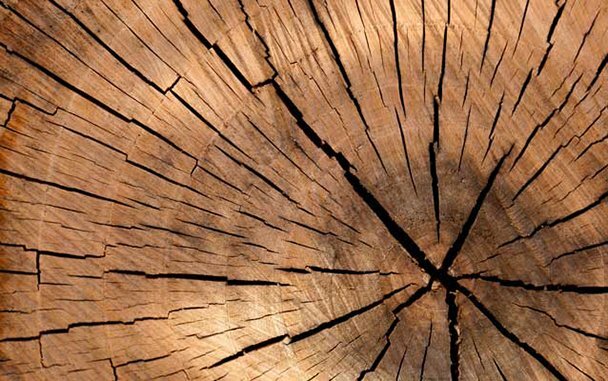 It is similar to particle board and medium-density fibreboard, but is denser and much stronger and harder because it is made out of exploded wood fibres that have been highly compressed. Medium-density fibreboard (MDF) is an engineered wood product made by breaking down hardwood or softwood residuals into wood fibres, combining it with wax and a resin binder, and forming panels by applying high temperature and pressure. MDF is generally denser than plywood. 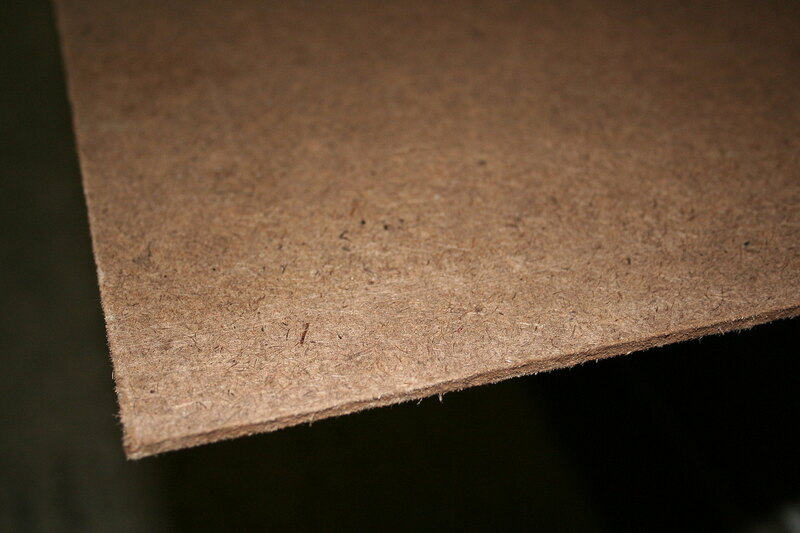 It is made up of separated fibres, but can be used as a building material similar in application to plywood. It is stronger and much denser than particle board.